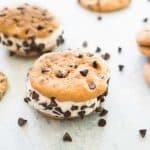 I have to tell you all the story behind these yummy Homemade Chipwich Ice Cream Sandwiches I’m sharing here today so you can feel my pain! You see, for the past few weeks, I’ve been trying a low carb eating plan, which hasn’t been too bad for me overall. That is, until last weekend when my boys had a cookie and lemonade stand during our community yard sale and they massively over-bought for the occasion and I ended up with a kitchen full of bakery cookies. Torture! Seriously, look at those cookies! I’m a chocolate fanatic and I’m not lying, I could smell then cookies every time I walked through the kitchen after having literally no bread, crackers, chips, cookies, or candy for weeks. So I did what any looney blogger would do: I whipped them up into these easy Homemade Chipwich Cookie Ice Cream Sandwiches to give my boys an excuse to eat them two at a time and get them out of the house faster! Like I mentioned, we made these Homemade Chipwiches with bakery cookies from our local grocery store, but you could easily use homemade chocolate chip cookies or even regular old packaged cookies. 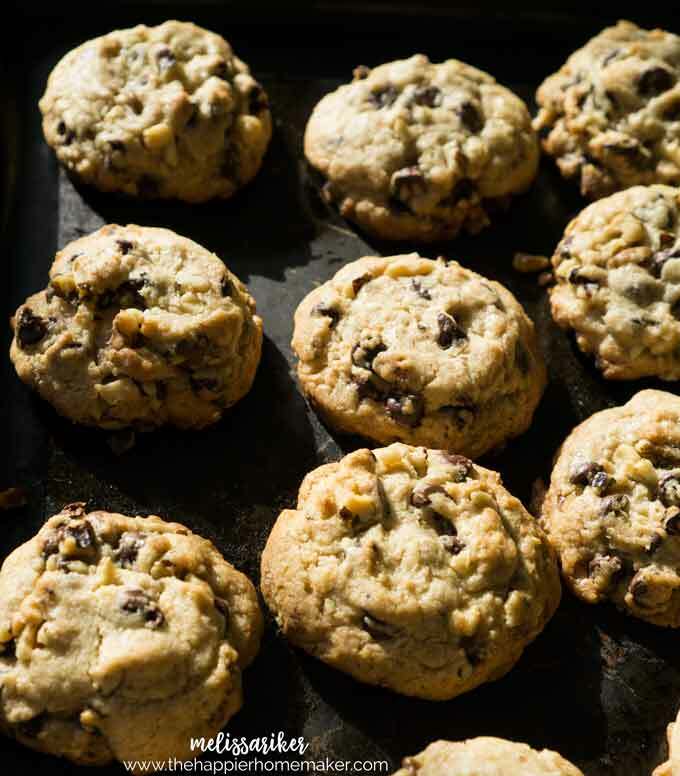 (For homemade I recommend these bakery style chocolate chip cookies!) 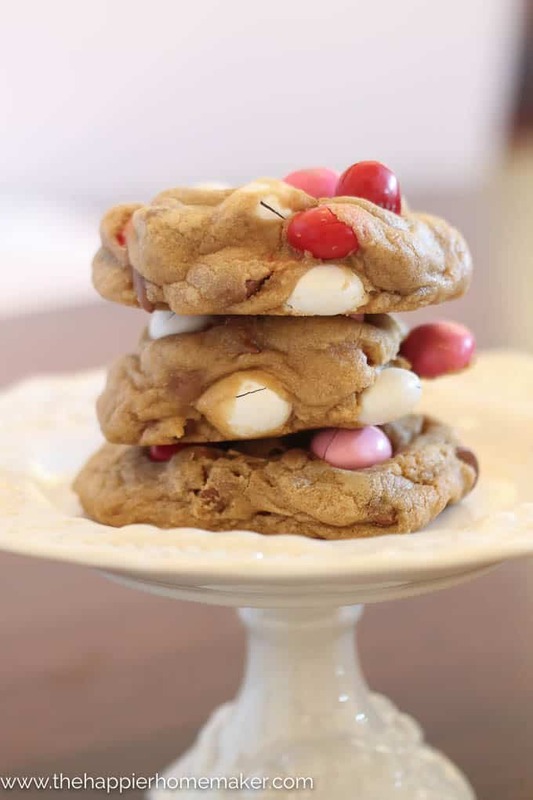 If you are using a homemade cookie it is very important to thoroughly freeze the cookie before attempting to assemble the sandwiches, otherwise, I can almost guarantee you they will fall apart. 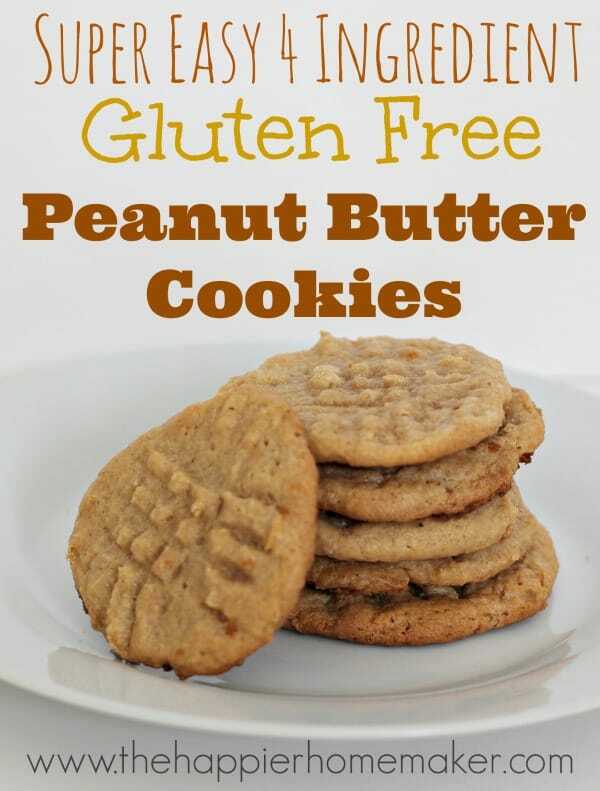 It’s not a bad idea to freeze any cookie before making these just for that extra strength but it’s absolutely required for fresh cookies made the same day. 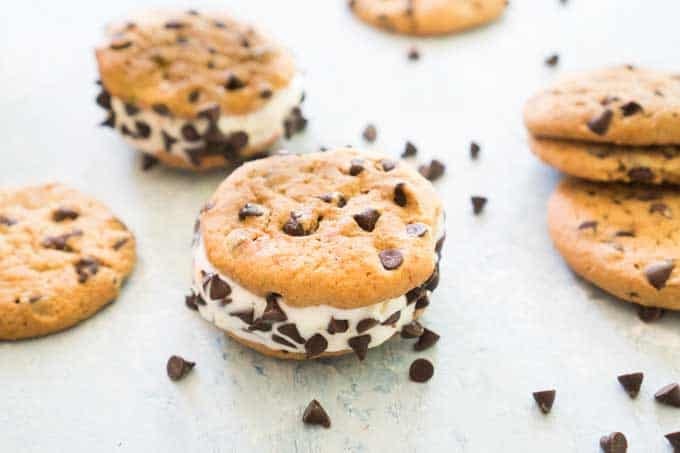 You can make your own Homemade Chipwich Chocolate Chip Cookie Ice Cream Sandwiches easily in just minutes with this kid-friendly recipe. Allow vanilla ice cream to soften slightly on the counter for 5 minutes. Use a butter knife to spread the softened ice cream on the bottom of your first cookie. 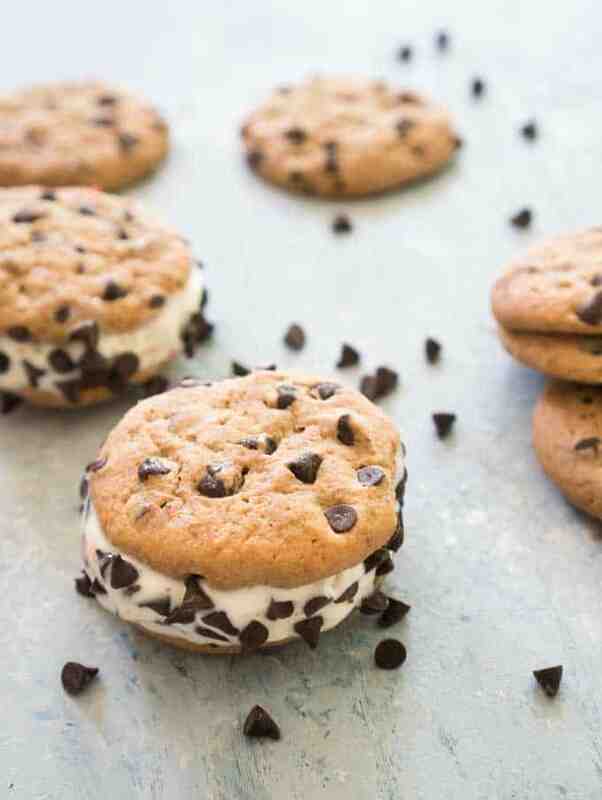 Apply the ice cream at least 1″ thick and top with your second cookie. Squeeze slightly and then dip edges in mini chocolate chips, pressing the morsels into the ice cream slightly so they stick. Place the sandwiches on a wax paper lined plate or tray and freeze for one house before serving.